We are delighted to announce that Dr Stacey Pope will chair and present as part of the Research Insight Series for one of 4 afternoon sets of presentations at our forthcoming conference on the Wednesday 30 November 2016 at FC United. Stacey is Senior Lecturer in Sport at the School of Applied Social Sciences, Durham University. Stacey is especially interested in issues of gender and sport and she has published widely on the topic of female sports fandom in a range of journals. Her research interests include the sociology of football and rugby union, comparative research in sports fandom, the meaning and importance of sport for women and women’s formative sporting experiences. Her book The Feminization of Sports Fandom will be published by Routledge in 2017. 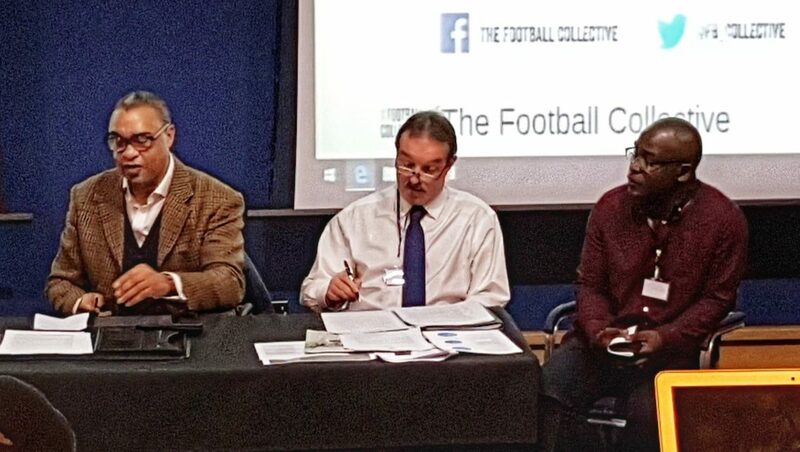 Research Insight Series: Within this period, The Football Collective board members and/or researchers and academics in football are invited to present. The purpose of this series is to share, discuss and create ideas and discussion to take into the evening. Presentations are invited on published research, research interests, current research projects, research issues, methodological challenges, new research ideas, potential collaborative opportunities. This will be an important time to share research updates and discuss critical issues in football. The format of these sessions will be split between three types of presentations: (i) 10min presentations followed by 10min discussion between presenter and participants and, (ii) PechaKucha 20×20 [a simple presentation format where you show 20 images, each for 20 seconds, with the images advancing automatically as you talk along with the images] followed by a discussion between a panel of presenters and participants, (iii) or tailored presentations and timings based on the needs of the presenter (i.e., performance, video etc). If you would like to present, please provide a 300 word abstract (inc. title, author, affiliation) with an indication of the type of presentation you would be willing to contribute (either (i) 10min presentation, (ii) PechaKucha, or (iii) something else. 6:00pm – onwards All participants are invited to continue the debate into the evening at our local curry house. All submissions to present are closed, but you can participate in the conference and join. If you have any questions please do not hesitate to contact Dan Parnell (d.parnell@mmu.ac.uk) or Paul Widdop (p.widdop@leedsbeckett.ac.uk) via email. See our Eventbrite page here.